From keying to tracking there’s a lot to learn from these inspiring compositing breakdowns. Is there anything more incredible than a compositing breakdown? There’s a lot of impressive work that goes into the process of creating professional Motion Design, but there’s just something about the composting process that seems like science fiction. It seems like every week a new studio is dropping a new compositing breakdown with the latest Game of Thrones or Star Wars breakdown. And without fail we compulsively watch each one. However, for this week’s roundup we thought it’d be fun to take a look at a few compositing breakdowns that you’ve probably never seen before. These compositing breakdowns aren’t your average VFX reel. Get ready to have your mind blown. If you were to go watch the Third and The Seventh right now you’d probably be impressed by the rendering, lighting, and texturing. The scenes look better than real, but the most incredible part is the film was created 8 years ago… What were you doing 8 years ago? This breakdown shows us how the original film was created. There’s some really helpful insight about using lighting and depth of field to sell realism. We always hear that you can tell the difference between real life and VFX, but the majority of VFX in film go completely unnoticed. In this short film Roy Peker walks us through a world full of unnoticed CGI. See if you can spot the CGI elements before he reveals them at the end. If you haven’t heard of Hugo Guerra it's time to get acquainted. Hugo is a director and VFX supervisor that’s worked on giant projects all over the world. He was even led the Nuke department at The Mill, so in-short, he’s legit. Hugo has an entire channel dedicated to sharing compositing and VFX techniques he’s learned over the years. If you’re interested we actually interviewed Hugo on the School of Motion podcast. Give it a listen if you’re interested. It’s the age old question, Nuke or After Effects? Nodes vs Layers. Complex vs less-complex. Determining which software is right for you is super important, but not easily explained. To help share some of the differences we’ve put together a tutorial comparing the two apps. If you’ve ever been curious about the difference this is the best place to start. Now that you’re inspired to work on your compositing skills go check out our compositing and keying tutorial here on School of Motion. With enough practice you’ll become a compositing master, or at the very least realize that it’s harder than it looks. 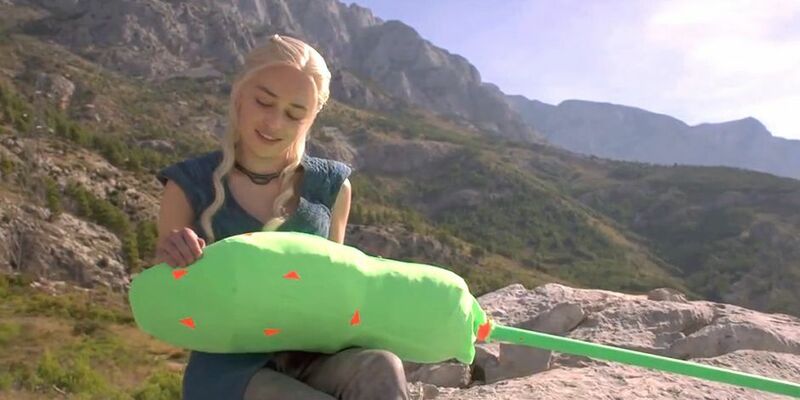 If it's so easy, why don't you turn this green mop into a dragon?